One of the big matches that everyone is eager to watch at WrestleMania 35 is for the Universal title as Brock Lesnar faces off against Seth Rollins. 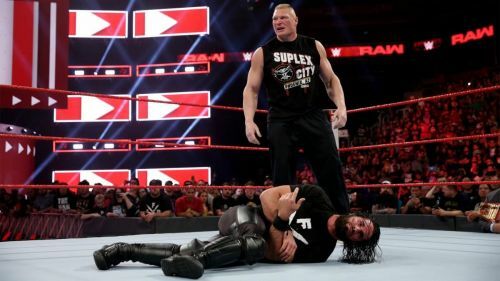 Rollins and Lesnar have had just one face-to-face confrontation, the night after Royal Rumble, as The Beast has been absent for WWE RAW and the last PPV, Fastlane. In an interview with Justin LaBar, Rollins spoke about what differentiates him from Lesnar, and how he plans to take forward his showdown with The Beast. Rollins won the 2019 Royal Rumble and booked a ticket for WrestleMania 35, where he will face against Brock Lesnar for the Universal title. Unlike Lesnar - who was handpicked for greatness - Rollins made it to the WWE the hard way, wrestling in the indies and then WWE's developmental territory before being called up to the main roster. Rollins spoke about how it takes years of hard work to make it to the top of pro wrestling, and that it feels like a slap on the face when someone disrespects the business. "I'm looking forward to getting in there and, sort of, juxtaposing Lesnar, who's notoriously in it for himself and in it for the money. That's never been my gig. I've never been in it for myself or for the cash. Brock Lesnar is set to come face-to-face with his challenger on next week's RAW.